My work seeks to understand inherent relationship between surface landforms on terrestrial planets and their enviromental evolutions. Aspects of both planetary and hazard-scientific are involved in my interests. Currently I am working on developing numerical models of large-scale features on terrestrial planets including those associated with lava flows, debris flows, glacier flows, cataclysmic floods, and mantle convections. 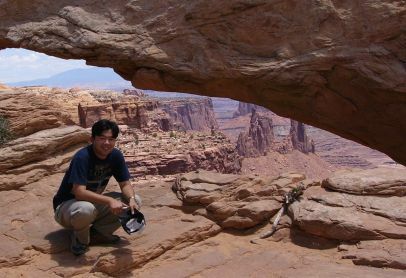 I have been involved in most of the Japanese solid-body exploration missions. I was a science team member of the Mars Dust Counter onboard the Nozomi spacecraft, which was the first Japanese planetary mission (although it did not achieve Mars orbit). 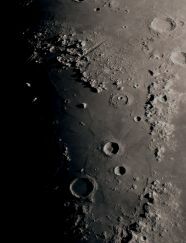 I am a Co-Investigator for the imaging camera of the Lunar-A mission as well as for the SELENE lunar mission, which will be launched this summer. I worked as a Co-Investigator for the AMICA imaging camera onboard the Hayabusa mission, which successfully rendezvoused with a small asteroid, Itokawa. The size of this asteroid is 300m, which is by far the smallest among those observed by spacecraft. Hayabusa found that the surface of Itokawa is covered by both smooth and rough terrains, which indicates the existence of regolith on its surface. I am now working on the formational processes of the regolith through image analysis and numerical modeling.